OTTAWA — Wrangling over the agenda doesn't bode well for Friday's first ministers' meeting, which is shaping up as one of the most fractious gatherings of Canada's federal, provincial and territorial leaders in decades. Prime Minister Justin Trudeau is bracing for a barrage of criticism from premiers upset about the federal approach to pipelines, carbon taxation, environmental assessments, GM's Oshawa plant closure in Ontario and the oil price crisis — none of which are specifically on the agenda. Indeed, the feds are fully expecting the most openly hostile premier — Ontario's Doug Ford — will do his best to derail the meeting altogether, including potentially storming out of the gathering or possibly even boycotting it outright. Trudeau is scheduled to hold a 30-minute bilateral meeting with Ford on Thursday afternoon. Moe confirmed in an interview Wednesday that there is "some frustration, myself included, with the agenda provided by the prime minister," which includes having several federal ministers address the premiers on their initiatives. "We'd like it in writing, confirm that we're going to discuss those items. But rest assured that the premier of the province of Saskatchewan will bring those items to the floor (regardless)," Moe said, adding that he doesn't intend to leave the meeting early. This will be the fourth first ministers' meeting Trudeau has hosted since becoming prime minister in 2015. And it's certain to be the most acrimonious. Since first ministers' last met, the prime minister has lost several of his most reliable provincial Liberal allies — Ontario's Kathleen Wynne, Quebec's Philippe Couillard and New Brunswick's Brian Gallant. He now faces a phalanx of conservative premiers, four of whom — Ford, Moe, Manitoba's Brian Pallister and New Brunswick's Blaine Higgs — have joined in court challenges to the federal carbon pricing plan and one of whom — Ford — has routinely engaged in conflicts with the federal Liberals in general. Alberta's NDP Premier Rachel Notley was initially an ally for Trudeau, supporting him on carbon pricing. But she parted company last summer over the failure to get the Trans Mountain pipeline expansion project off the ground and is now crusading for federal help to ease the discount price Alberta is obliged to accept for its oil because it can't get it to tidewater for shipment overseas. She and Moe sent Trudeau a letter this week, asking that the agenda for the first ministers' meeting be revised to include the oil price crisis, which they argued is costing the country $80 million per day. And Notley disparaged the federal government's preferred focus on interprovincial trade barriers. "We tend to have conversations about minor internal trade issues and then when it's my opportunity to talk, I say, 'Well, there's one big internal trade issue that we have about getting our product from one province to another and to other markets and it's actually worth 100 times the value of these other issues,'" she said Tuesday. Trudeau said Wednesday that he looks forward to "talking about anything the premiers want to talk about." "I'm looking forward to a broad range of discussions on whatever it is they have as priorities," he said on his way into the House of Commons. "Including oil, of course. Natural resources are an essential part of our economy. We're going to be talking about that as well." Notley, Moe and a number of other premiers, including Newfoundland and Labrador's Dwight Ball and Nova Scotia's Stephen McNeil, also want to talk about Bill C-69, federal legislation that is currently stalled in the Senate and which would set more stringent rules for environmental assessments of energy projects. Critics maintain it will create more red tape and delays in project approvals that will scare off potential investors. "We are looking for clarity around Bill C-69," Ball said in an interview, adding that it's creating uncertainty in his province's offshore oil and mining industries. "We know that the regulatory regime can be an impediment in attracting investment." Quebec Premier Francois Legault, meanwhile, said he wants to talk about continuing U.S. tariffs on Canadian steel and aluminum and compensation for dairy farmers hurt by the new NAFTA. 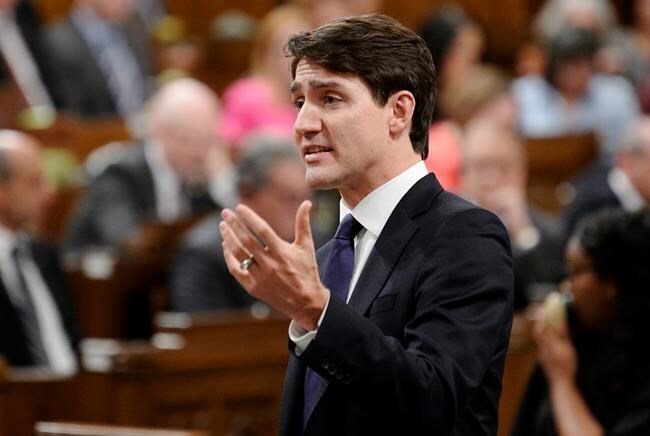 In a statement Wednesday, he also said he intends to raise Quebec's demand for federal compensation to cover the cost of the influx of irregular asylum seekers and press Ottawa on the "excessive and ever longer" time taken to address Quebec's files. Manitoba's Pallister is among the few premiers who appear to actually want to make progress on knocking down interprovincial trade barriers — barriers he said amount to imposing a seven per cent tariff on goods that cross provincial borders. "I think it's time to strike on that," he said Wednesday. — With files from Ryan McKenna in Regina, Holly McKenzie-Sutter in St. John's and Steve Lambert in Winnipeg.